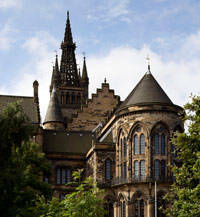 The Hunterian Museum and Art Gallery at the University of Glasgow is the oldest public museum in Scotland and first opened in 1807. It is spread throughout a number of buildings on the University campus in the West End of the city. The museum is named after William Hunter, who bequeathed his substantial collection to the University of Glasgow in 1783. Hunter's bequest remains the core of the museum collection today, but it has grown considerably over the years and includes the works of James McNeill Whistler and Charles Rennie Mackintosh along with coin, zoological, archaeological, anatomical and scientific instrument collections. The Hunterian Gallery is housed in a custom-built facility which is part of the University Library complex. The modern Mackintosh House stands on the site of Charles Rennie Mackintosh's former home and has been furnished to Mackintosh's specific design, using woodwork from the original house and genuine decorations and furniture. 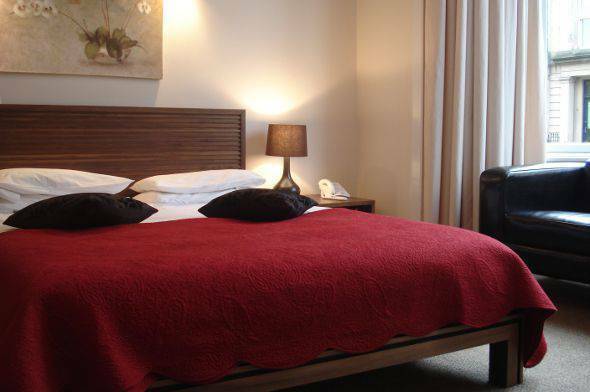 Conveniently located on the other side of Kelvingrove Park near Glasgow City Centre and across from the University of Glasgow is The Sandyford Hotel. We are a 3* family-run hotel with 55 comfortable rooms, providing quality bed and breakfast accommodation for visitors to Glasgow who need accommodation near The Hunterian. Our affordable B&B rates include full Scottish breakfast and there is free Wi-Fi access available in all of our rooms. The quality of accommodation at The Sandyford Hotel is very high, but the prices are cheap. Call our friendly reception staff today to check on available rooms and to make a booking. We will be happy to advise you on the best rates for your dates of visit. You can also book directly from the website with the help of the online reservation system.